THE GOOD, THE BAD, AND THE UGLY is the GONE WITH THE WIND of Spaghetti Westerns, Sergio Leone’s masterpiece, and definitely in my Top 5 Favorite Films. After turning the genre upside down with A FISTFUL OF DOLLARS and inside out with FOR A FEW DOLLARS MORE, Leone’s final entry in his triptych of films starring Clint Eastwood as The Man With No Name is an ambitious epic about greed, revenge, and the futility of war, told with a warped sense of humor and plenty of action. Besides Eastwood and FEW DOLLARS co-star Lee Van Cleef, Eli Wallach joins the cast in a performance that should have won the Oscar. 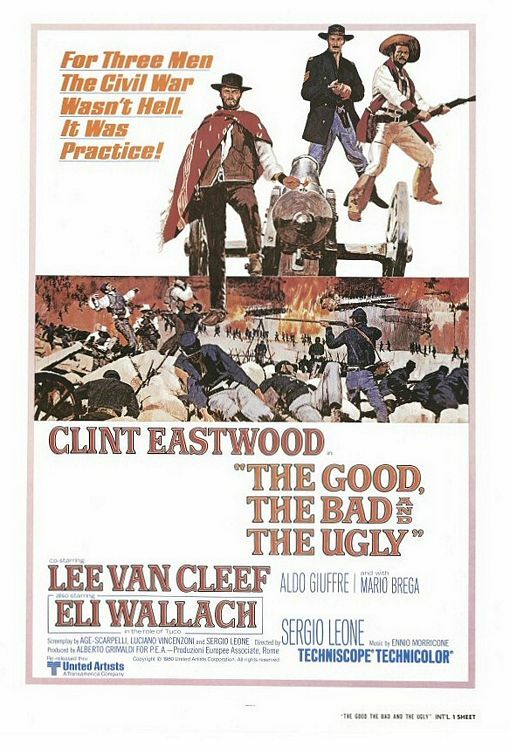 This entry was posted in Film, Film Review and tagged Clint Eastwood, Cracked Rear Viewer, Eli Wallach, Ennio Morricone, Gary Loggins, Lee Van Cleef, Sergio Leone, spaghetti western, The Good The Bad & The Ugly, Through the Shattered Lens, United Artists. Bookmark the permalink.